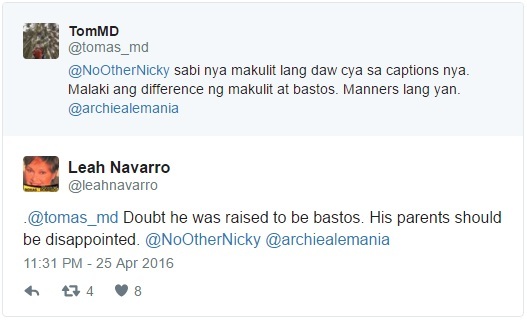 Archie Alemania's action disrespected Mar Roxas, gained negative reactions from netizens! 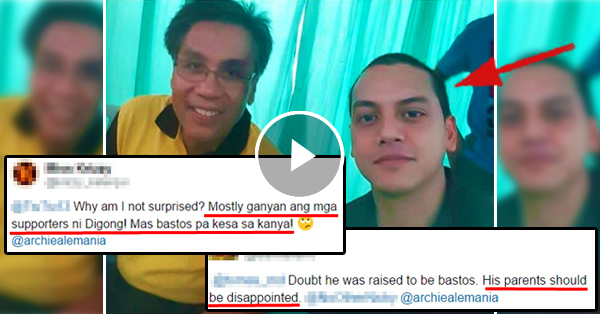 Home / News / Archie Alemania's action disrespected Mar Roxas, gained negative reactions from netizens! 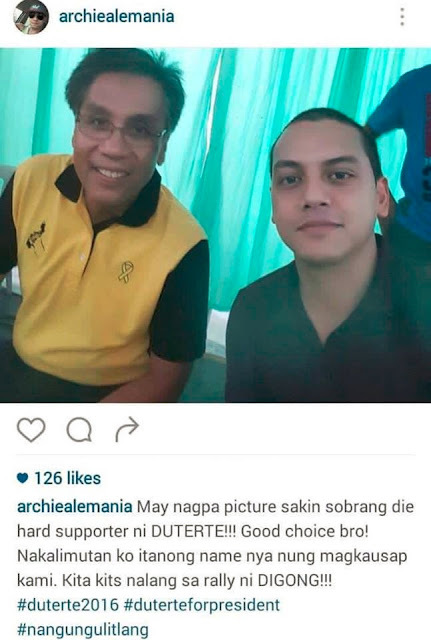 Actor, comedian and dancer Archie Alemania is now gaining negative feedbacks from the social media users. 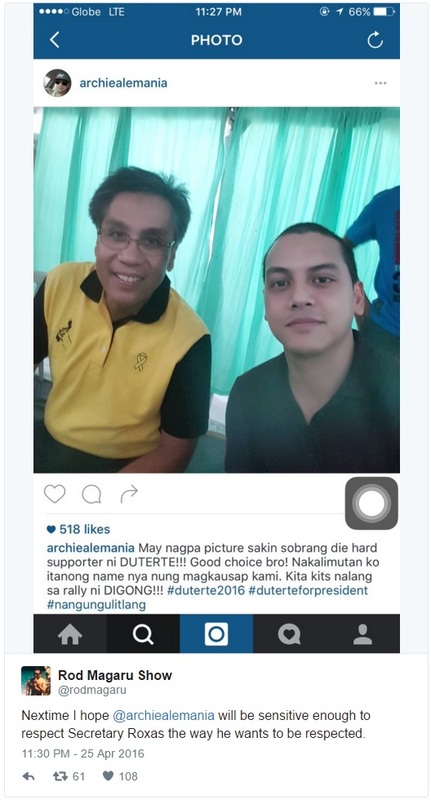 This happened after he posted the picture of the presidential candidate and the Liberal Party standard bearer Mar Roxas. This caption enraged a lot of netizens regardless of the candidate that they are supporting. 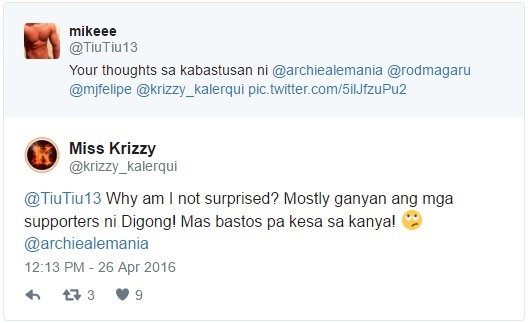 Negative comments from other people immediately flooded the insensitive post of Archie Alemania.